Friends of Norfolk’s Environment (FONE) has been awarded a 30 in Thirty Grant of $1,000 in the Community Beautification category. FONE is a group of dedicated volunteer community leaders who work to improve Norfolk’s environment through stewardship, education, and restoration. 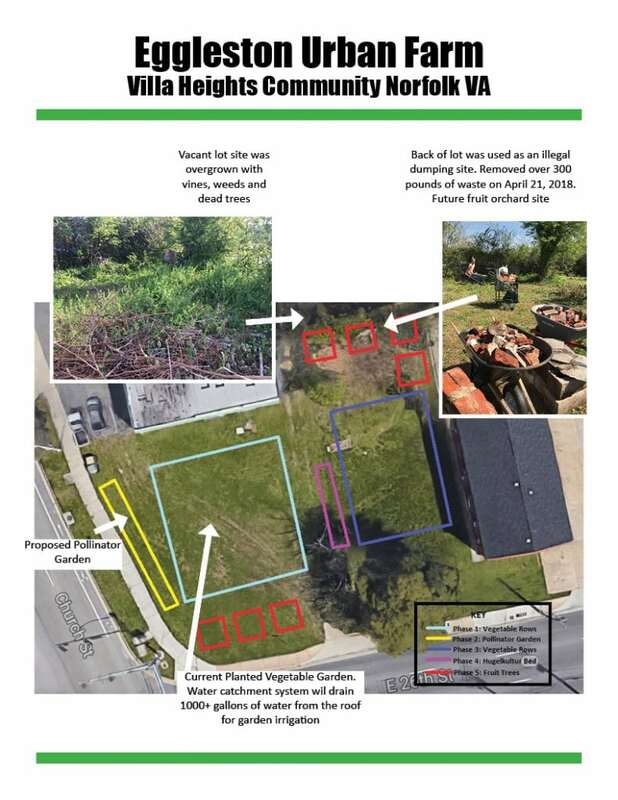 The goals of their project, “Food Desert to Sustainable Urban Micro-Farm,” are to restore a vacant lot, and create a sustainable neighborhood garden in the Villa Heights neighborhood of Norfolk. Funds provided by our grant award will be used to purchase seeds, vegetable plants, pollinator plants, fruit trees, and a metal 55-gallon trashcan for litter. Government, non-profit, civic and service organizations in Virginia were invited to apply for grants for $500 to $1,000 describing how they plan to tackle an environmental concern in their community regarding Litter Prevention, Recycling, Cigarette Litter Prevention, or Community Beautification. Since 2011, we have provided over $178,000 to fund 230 environmental projects and programs all across the Commonwealth, due to the generosity this year of our partners at Altria and Keep America Beautiful.